You would never guess these Fudgy Coconut Oil Brownies are made with NO butter and NO eggs! 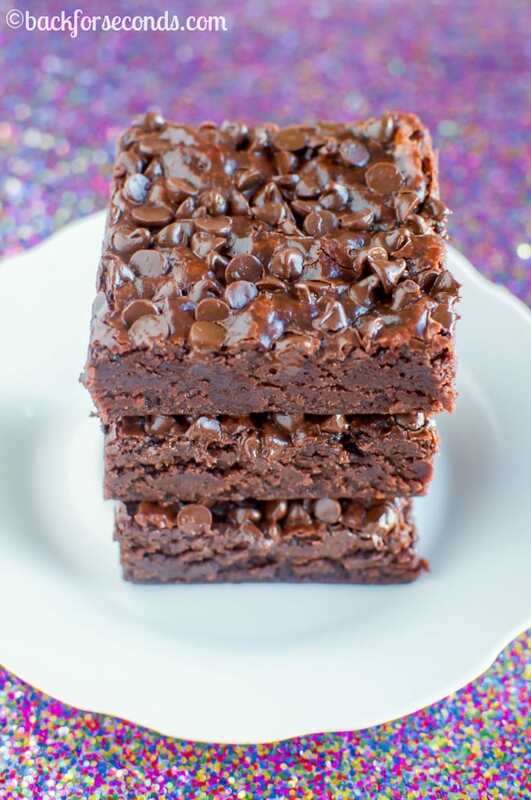 They are as rich, moist, fudgy, and one of the best brownies ever!! It took a few tries to develop this recipe. I know there are people who cannot eat eggs or butter and they deserve an awesome brownie too, right? So I tinkered away until I got it just right. These are thick and chewy, moist and fudgy, rich and chocolaty. Basically what I’m saying is, you need these in your life! Maybe you have allergies or maybe you just ran out of eggs and butter, and you have 5 kids under 7 and don’t feel like going to the grocery store again (or is that just me??). Wow, I cannot believe how rich and fudgy these look with no eggs or butter???!!! You have done such a wonderful thing here! You are the queen of brownies and bars. I love this. Coconut oil rocks for baking, so healthy and adds such a great flavour. I swear coconut oil is like a little treasure, it’s good for everything. I use it in my hair, on my face, it’s so useful. I love coconut oil in baked goods! 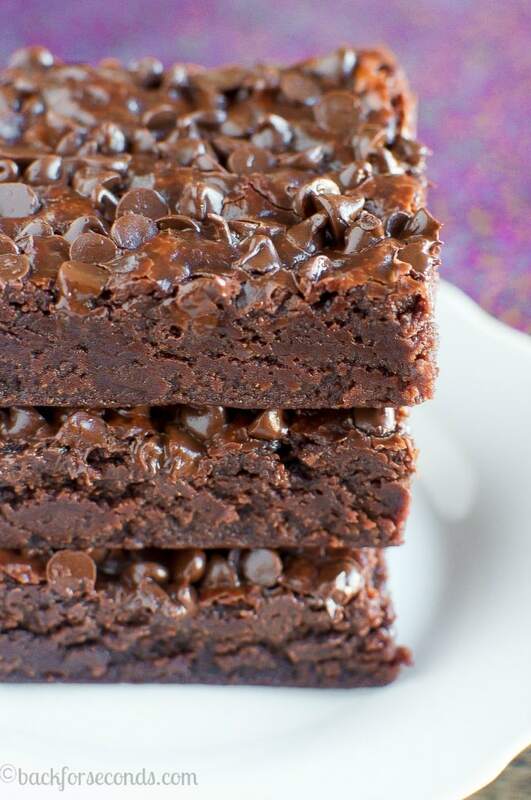 These brownies look heavenly and totally drool worthy! I have not tried these with anything other than 2% milk. I would assume it would work just as well with any type of milk, but I cannot say for sure since I haven’t tried it myself. Let me know how it goes! I made this with all purpose gluten free flour and almond milk. It was delicious. These look amazing but shouldn’t there be some sort of leavening agent in there some were? Maybe I’m wrong but since there are no eggs and no leavening agents I don’t see these rising like at all. But maybe that’s the point and how you make them super fudgy? Thank you Stephanie! I never use baking soda or baking powder in my brownies. They still do rise a bit and this way they have a glorious dense, fudgy texture! Enjoy! I just made these today, the texture of the brownies is so nice! The only problem i have with them is i find that theyre a little “bland” like theres something missing. I will make these again but i will add some vanilla extract to the recipe! This should do the trick! My coconut oil is already in liquid format since my place is so warm right now , would I just use it straight from the jar in the same measurement? Just made these brownies, and my house smells heavenly!! I’ve never baked with coconut oil so I was a bit scared, quite honestly!! Looks so delicious but just waiting for it to cool a bit before I burn my mouth off, Lol! Any idea of calorie count?